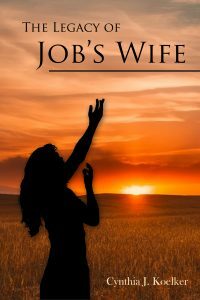 Her love story with Job is told in a realistic way and life during those ancient times was interesting – people living in tents, tending crops and animals (a hard, Spartan life), and riding many days to the cities for provisions they couldn’t grow or build for themselves. The most poignant parts of the book for me were the free-verse types of poetry that began each chapter, as she cried out to God in her grief. Those thoughts resonate with any woman who might be faced with such monumental sorrow. The story continued as she began to heal and recover, finding a way to start again and be reconciled to the God she thought had abandoned her.